It serves best to entrust company that specializes in moulding and has been around for a long time, learning all the intricacies of the trade as House Renovations company in Toronto and the GTA. Crown moulding installation can be a rather challenging task that requires expertise and precision. Our team of experts always has close attention to all details necessary to have your project come to life. Our years of experience, advanced knowledge, technique and necessary equipment, qualified professionals make it possible to do a perfect job and stay the reputed company in Toronto and the GTA. Do not forget about costly projects and overspending, piles of building material, bad choices due to a lack of expertise. We know how to install crown moulding perfectly and love to see our clients satisfied. What Crown moulding Can We Offer You? We provide crown mouldings in a wide variety of options, sizes and styles that give your home a unique look, highlight and sophistication. They transform your rooms, separate the area between the walls and ceiling, mask cutting details of paper or paint and create a striking look of classic style and elegance in a modern home. All crown mouldings we offer are made only from MDF(Medium Density Fiber Board) which looks identical to plaster but is more durable and less expensive. Moreover, installed MDF does not warp and bump like Polyurethane and will not damage the walls, what is important, it is not affected by expansion and shrinking and resistant to changes in temperatures and humidity that affect homes in Toronto, the GTA, and in the whole Canada than other kinds of moulding. Like crown mouldings it is a kind of a decorative element that conceals uneven edge of the wall surface and the ceiling. In modern interior design, cornice refers to a decorative element that is used as a transition between a wall and a ceiling. They come in a variety of forms from simple designs (like single painted wood boards) to advanced ornate carvings. The word may also mean a horizontal covering to hide curtain rods. 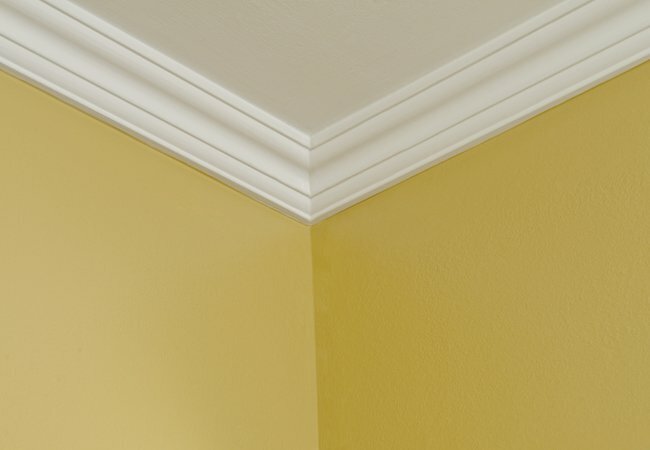 Because of its location, a cornice technically crowns the wall, and, in some cases, cornice moulding can be used as a proper term for crown one. In addition, the term cornice sometimes defines ornate molding designs between a ceiling and a wall, while the term crown molding refers to more simplistic designs. Nevertheless, the only difference between these two terms technically lies in the fact that crown moulding refers to all such kinds of moulding. There are three different types of decorative cornice mouldings: roving (a paper covered plaster core); machines wood and molded type (in a variety of materials). If you live in an old house, your existing cornice moulding is old, bumpy and warped, or, maybe, you are planning to exchange it to lighter, more modern and durable products instead of wasting your time on repairing the damages. What is the style of interior you are aiming for? We offer crown mouldings in a range of styles – Victorian, modern, gothic, sleek, Asian, exotic or contemporary look – depending on your taste, interior design or preferences.